Ankh: Reverse the curse ! Play the young Assil. He got a curse and the Ankh from a mummy, and must find a way to remove it. Humorous chats between the characters, make us smile. Colorful graphic like in a cartoon film. 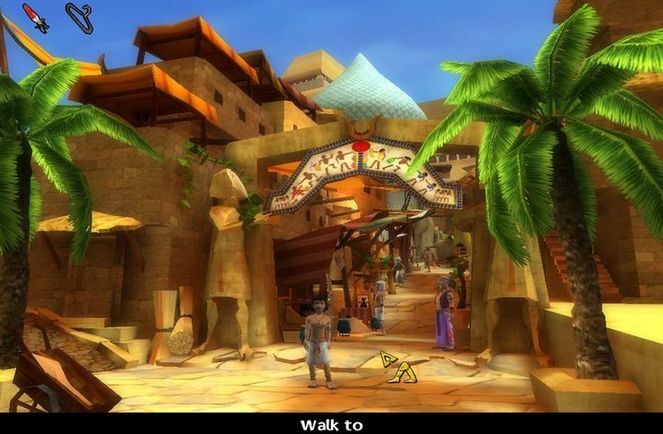 The game plays in a 3D environment. No real hard puzzles to encounter in this game. Read about Ankh: Reverse the curse !